Step #2 Instructions: Please fill out the application below. Required fields are noted with an asterisk (*). After you have completed the application, click the submit button. This form is best completed using FireFox 2+ or Internet Explorer 7+. Your private information will not be shared or used outside of WTC. 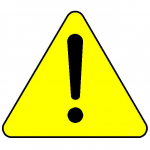 Very important: Your enrollment in class is not confirmed until payment is complete! Be sure to go all the way through the payment process until you arrive back at the WTC site. *Age: The minimum age is 14. Anyone under the age of 18 must be accompanied by a parent or legal guardian during the entire course. *Gender: Example: Male, Female, non-binary, etc. Friends: List any leaders or friends taking WTC that you want to be grouped with. 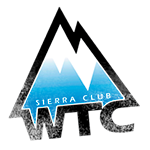 Sierra Club Membership#: If you are a Sierra Club member enter your membership number here. If you recently joined the Sierra Club and do not yet have a membership number, enter the approximate date that you joined. Textbook: Would you like to purchase the course textbook for $25? *Purchase Optional Compass: Would you like to purchase the optional compass for $45?